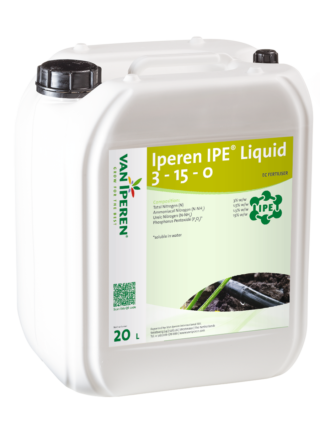 Van Iperen OK Liquid | 2 - 9 - 6 + MgO + TE is a pure and concentrated liquid NPK with a high level of Phosphate combined with EDTA chelated Micronutrients. 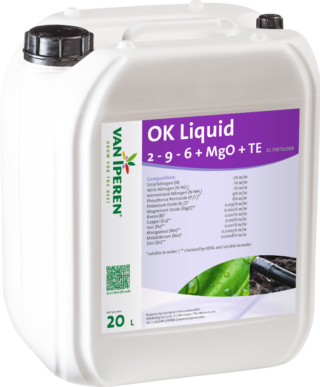 Our product is a transparent, stable solution and is recommended during root and shoot development. The high level of Phosphate in our formula increases cell division and development of new plant tissue. The presence of Magnesium and Micronutrients contributes to the production of chlorophyll and supports general plant metabolism. 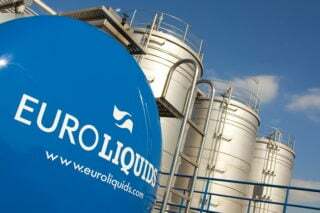 Produced in our own plant Euroliquids.